Justin isn’t the only one going for red, black, and white. 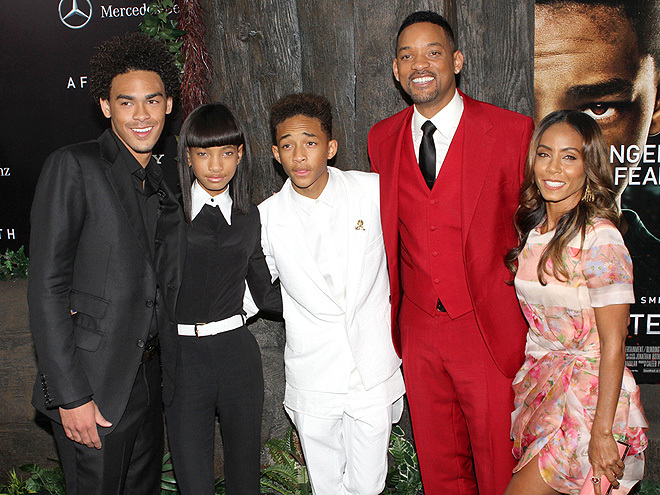 Will Smith and sons Trey and Jaden all embraced head-to-toe color for the red carpet premiere of After Earth. Will opts for a 3-piece red number with a tie, Jaden goes for all white with a buttoned collar and no tie, while Trey dons black with an unbuttoned shirt. These guys looks run the gamut, but all three are working a monochromatic style. Which look would you try for the big day? Founded in 2010, Well-Groomed is a wedding blog dedicated to stylish grooms and those of us who believe that a wedding day is not just "HER" day - that the groom is not just a wedding day accessory in a bride-centric world. We want to create a wedding that represents the couple! At Well-Groomed, we chat about wedding planning for the grooms, wedding attire (men suits and tux, how to tie a bow tie), groomsmen gift ideas, helping with DIY projects, working out details on the event, and getting a whole lot of inspirations from real well-groomed grooms! About Mr. + Mrs. Well-Groomed here. This site contains affiliate links and I will be compensated if you make a qualified purchase after clicking on some of my links.